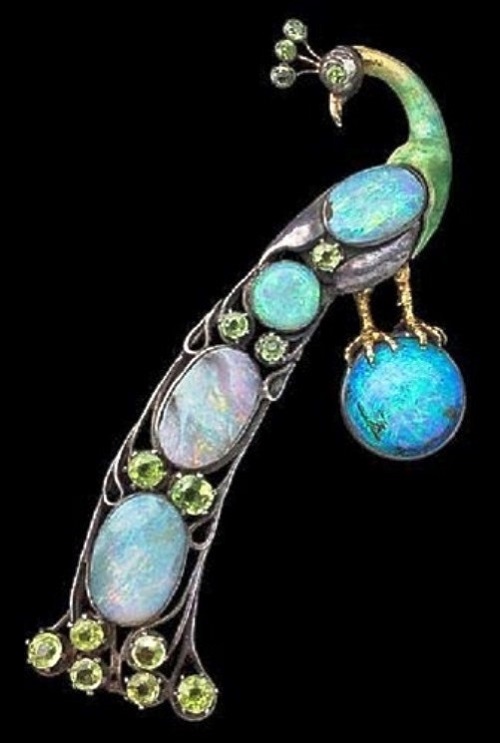 In the modern era to the forefront in jewelry came not a master craftsman, making similar to each other “commercial jewels”, but a jeweler creating a customized and truly artistic embellishments, which featured a new imagery that reflected the spirit of time. 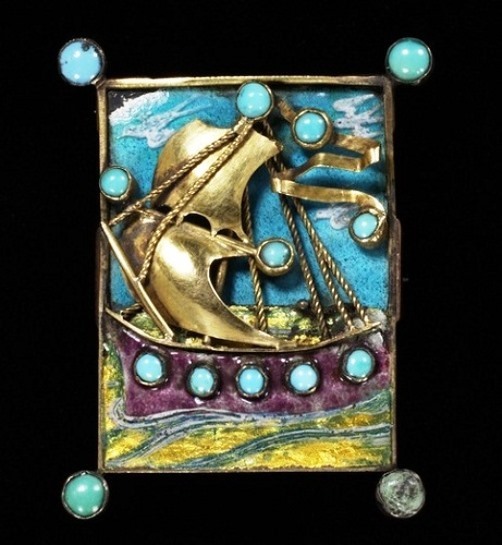 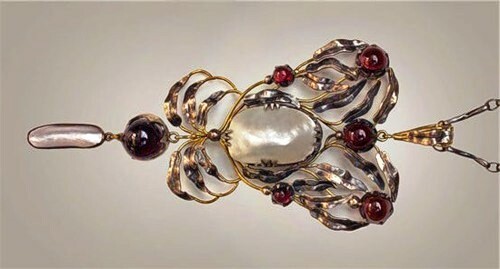 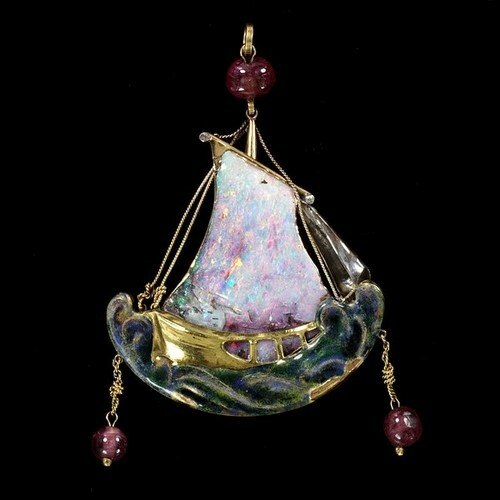 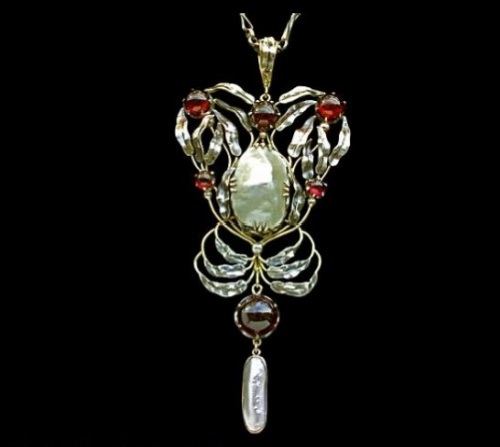 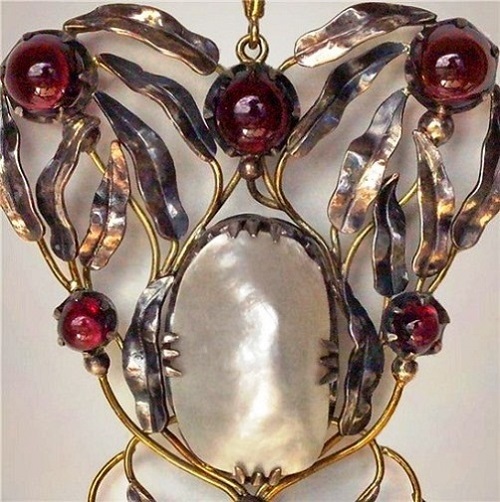 Thanks to the talent of authors, such jewelry art, along with the architecture and art glass, came to the forefront of the development of art in many ways defining features of the new decorative style. 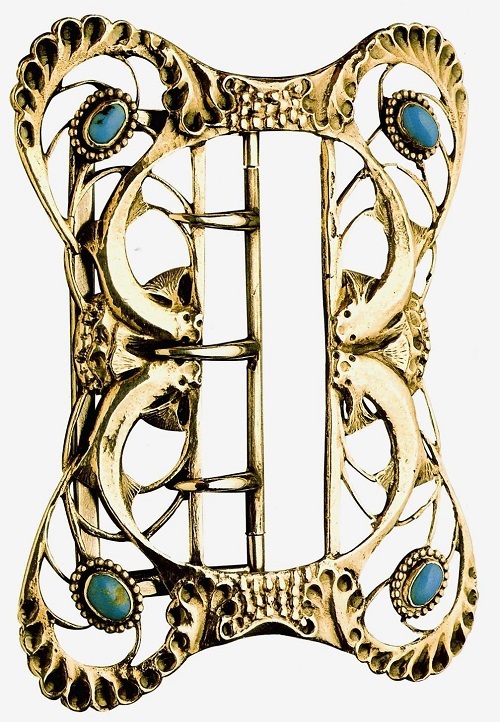 The principles of modernity determined work of Charles Robert Ashbee. 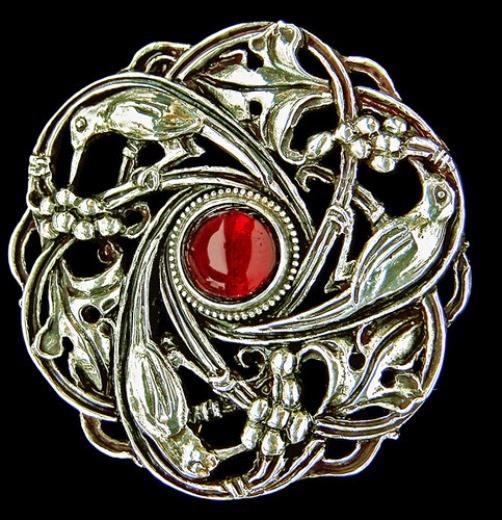 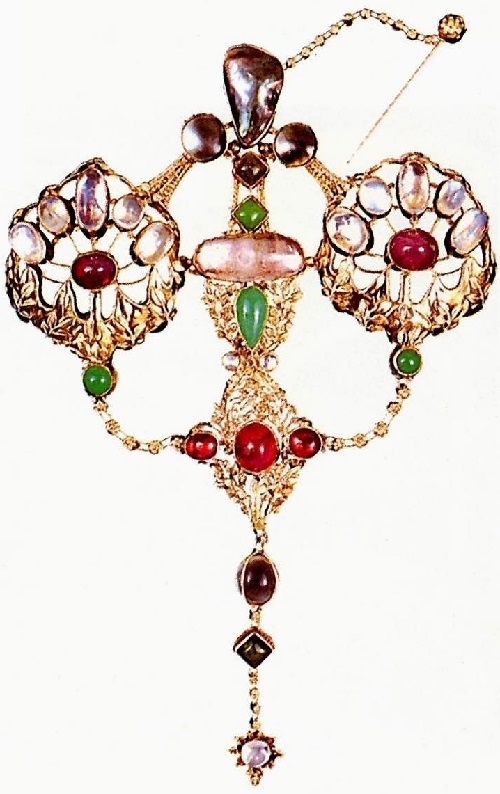 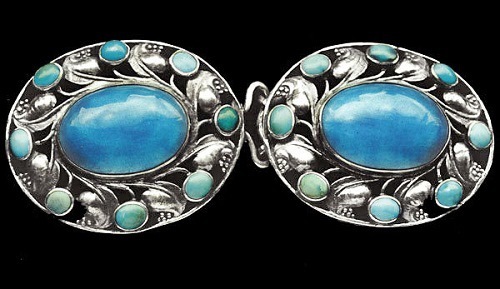 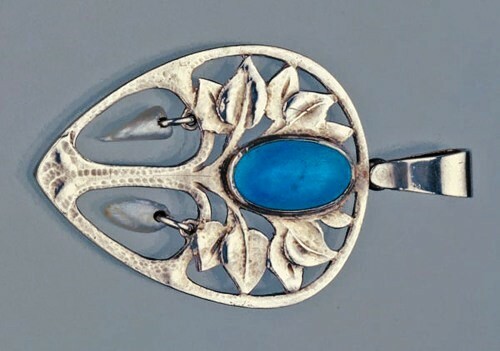 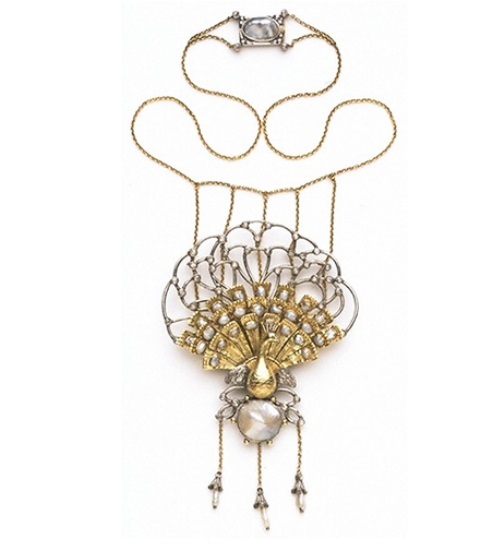 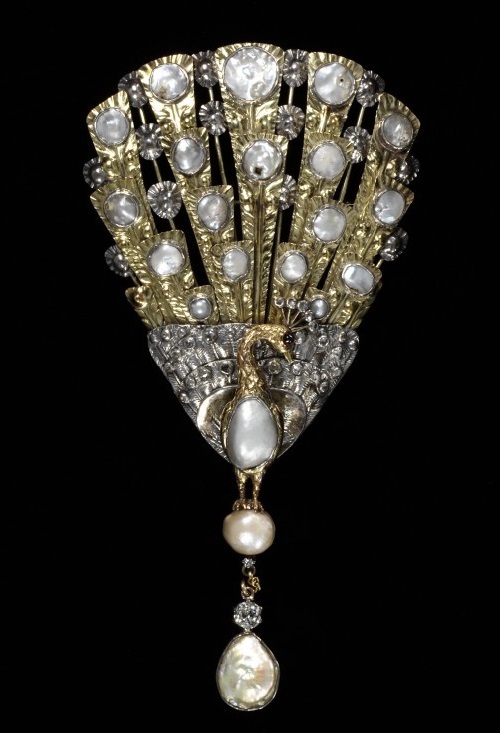 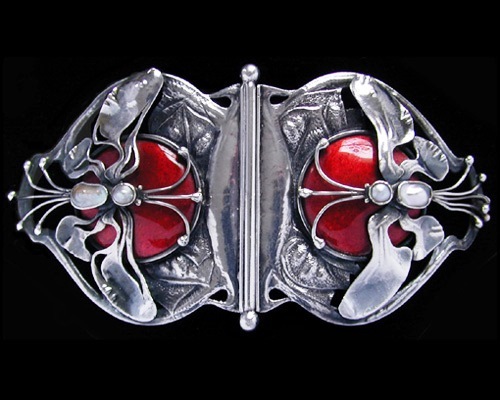 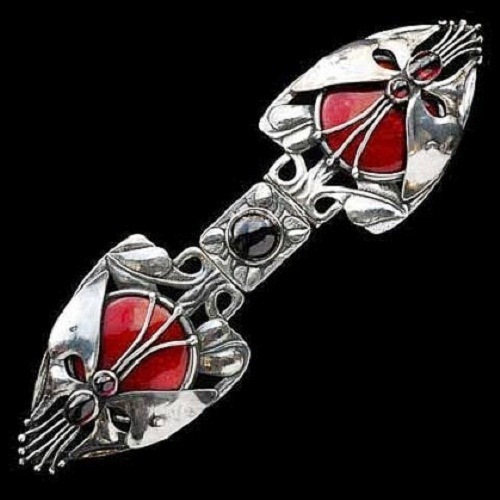 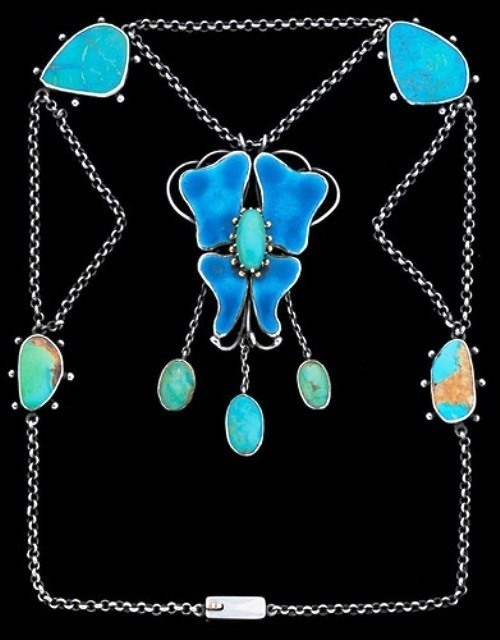 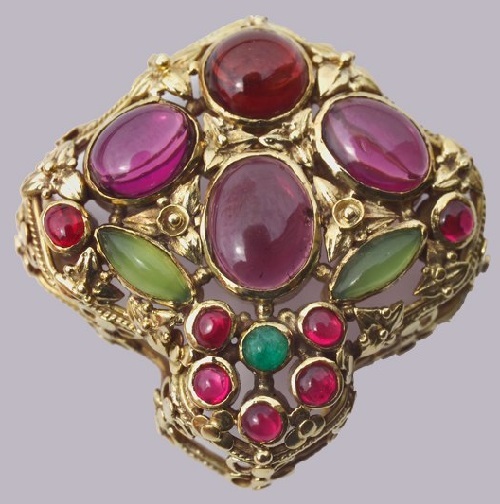 English designer and jeweler Charles Robert Ashbee was born in Isleworth, on 17 May 1863. 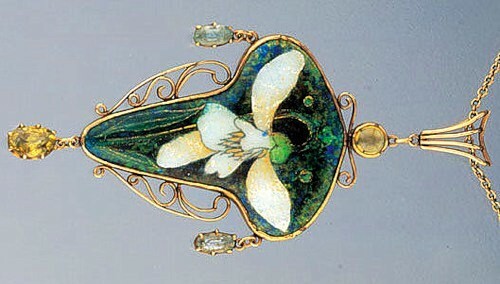 He was a man of immense talents and energy and a defining figure in the Arts and Crafts Movement. 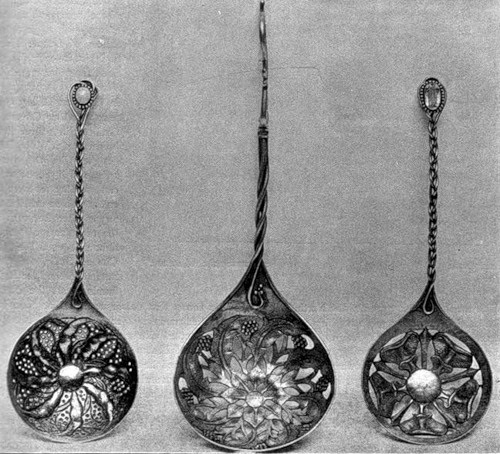 In 1888 he founded the Guild and School of Crafts in London’s East End. 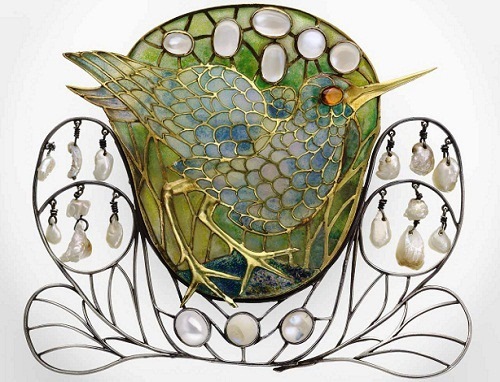 Seven years later, the school was closed, but the Guild, continued to exist for many years as an important center for the ideals of the Arts and Crafts period, producing furniture, metalwork, jewelry, enamels and printing on fabrics. 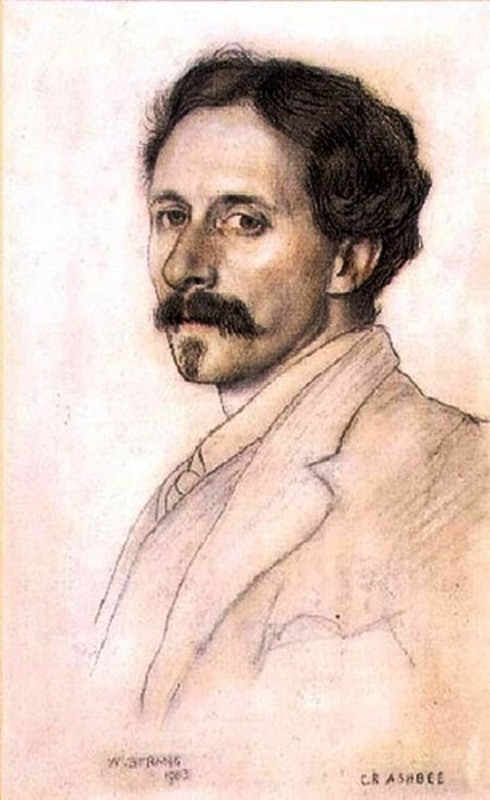 Charles Ashbee was gay, it was a time when homosexuality was illegal, he married Janet Forbes, and had four children: Mary, Helen, Prue and Felicity. 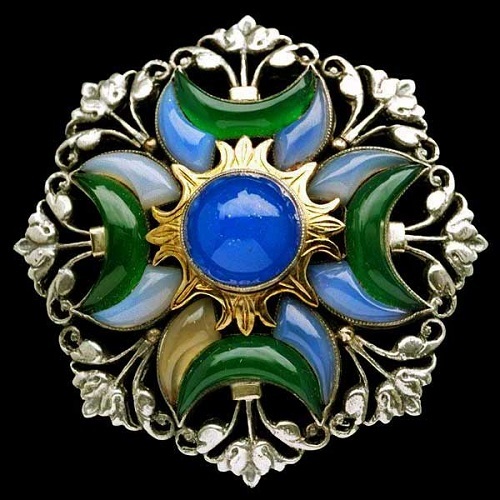 He died in Sevenoaks, Kent, on May 23, 1942 and was buried at St Peter and St Paul’s Church in Seal, Kent, where he was church architect.